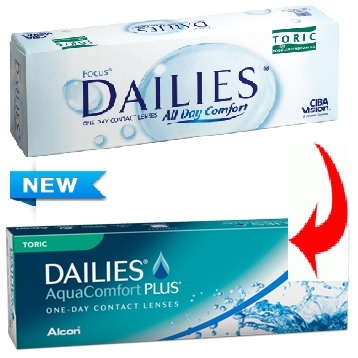 World Largest Online and Reliable Contact Lens Store - UP TO 75% DISCOUNT! Write or Read 1 reviews. 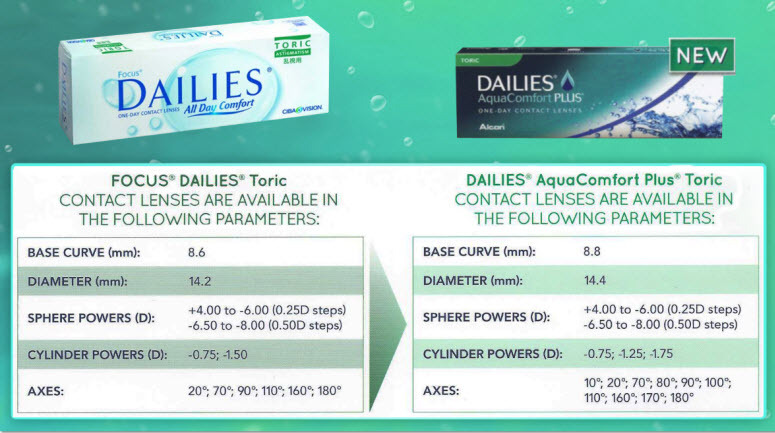 It’s time to upgrade to refreshing NEW DAILIES® AquaComfort Plus® Toric contact lenses ! You want to post a review? Please create an account, or log in if you are already a member. I absolutley love these daily toric lenses. I love the fact that I put a fresh pair in my eyes every morning. And not only are they very comfortable, I also have very good vision with them, which with astigmatism is not easy to get with contacts. These lenses are very convenient, fresh pair in the morning, toss them out at night! It couldn't be any easier. I would recommend them highly. GEO Super Nudy Lens series - Bigger Circle Lens! GEO Super Angel series - Bigger Circle Lens! 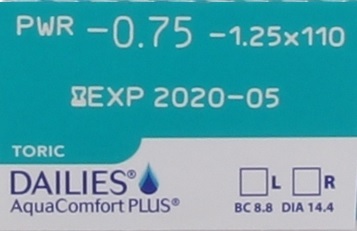 Contactlens Xchange guarantees that you will receive the exact contact lenses that you have been prescribed. Each prescription will be verified with the prescribing authority and then shipped sealed in the manufacturer's sterile packaging and free of all manufacturer defects. Contactlens Xchange is committed to your 100% satisfaction, and we will provides the very best of quality and value. Offering everything from Acuvue®, Focus Dailies®, FreshKon® Colored contact lenses to Proclear®, PureVision®, Freshlook® and Authentic Korean Made GEO Circle lenses and many more..
Contactlens Xchange only offer the best brand names in contact lenses and at the most affordable prices of up to 70% off your normal retail offered. Contactlens Xchange is your reliable source for your brand contact lenses, circle lenses & Colored contact lenses replacement. We strive our best to provide exceptional convenience, reliable, safe ordering and outstanding customer’s service to all our customers worldwide. Contactlens Xchange is a contact lens replacement web store that offer Brand contact lenses and other related products in an e-business environment. You are required to obtain a valid prescription by your eye care professional's and confirm that the order placed is in accordance to the said valid prescription as stipulated by your eye care professional's. Information on this site is provided for informational purposes only. It is not meant to substitute for the advice provided by your eye care professional's or other medical professional. Have your eyes examined regularly and always follow your eye care professional's instructions for the proper use and care of your contacts. If you experience any pain or discomfort from your contact lens, discontinue use immediately and consult your eye care professional.